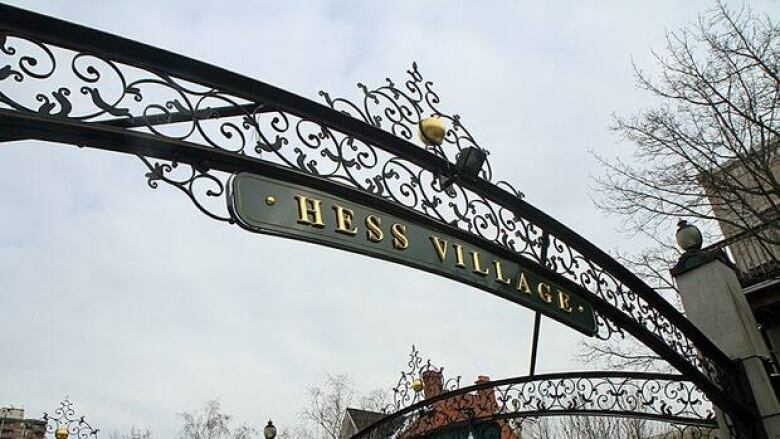 Is Hess Village policing heading to court? Bar owners are rebelling at the high cost of special policing while the city is putting the squeeze on to collect the money. Some Hess Village club owners are considering heading to court to strike down the city’s paid-duty policing cost policy in the downtown Hamilton entertainment district. The prospect of court action comes on the eve of the busy patio season and as the city's licencing committee is pushing to collect tens of thousands of dollars owed by bar owners for the extra policing provided the area. Dean Collett, one of the owners of Sizzle/Koi and Diavlo, met with the city’s Licensing Tribunal at city hall on Thursday. Combined, Collett’s Hess Village establishments owe almost $25,000 in back pay for city-mandated paid duty policing fees. A city bylaw puts the onus on Hess Village club operators to retain at least 10 special duty police officers for the entertainment district each Thursday, Friday and Saturday night beginning April 15 and ending Nov. 15 each calendar year. The club owners pay into a collective fund to hire the officers to the tune of around $180,000 a year — a number some say isn’t sustainable. Collett wouldn’t say if he plans to go ahead with the court case or not, but he and his representatives had a part in drafting a deal agreed to by the committee that sets out what happens to his outstanding payments should a court case be started. Collett can challenge the legality of the current bylaw in court. If successful, the money he owes would be dropped and Hess club owners would no longer be responsible for paid duty costs. Collett has until May 3 to initiate a court action. If he does, the funds Collett currently owes would be paid into a court fund and held there until the case is resolved. If his case fails, he still has to pay the amount owing and interest. If Collett chooses not to go to court or doesn’t pay into that fund by May 3, he has to pay the city the full amount by May 18. If he still doesn’t pay, all of Collett’s establishments would automatically have their business licenses revoked. "We don’t want to speak to anything just yet," he told CBC Hamilton. Does paid duty create a two class system? Coun. Terry Whitehead told CBC Hamilton that he thought the city’s current policy creates "two classes" of businesses — one that is paying much higher fees because it’s in a city designated entertainment district and one that isn’t. "My understanding is that Hamilton is the only place that is, in fact, double-taxing for services levels on one area. I’ve always had concerns on that," Whitehead said. "If in fact this goes to the courts and the courts decide that this is heavy handed and that we shouldn’t be imposing these kinds of expenses on individual restaurants without applying it across the city — which is often the case — I think it would not only set a precedent, but then we’d also need to find and determine a way to address it in the future." Collett wasn’t the only Hess club owner before the tribunal on Thursday. The Gown and Gavel, Viva, Ceilidh House and Hush were all there because of paid duty back pay, too. Owner Diana Vranich also owes $10,500 from her time running Elixir and over $11,000 from running Rok Bar. Vranich isn’t the current owner of either property. This is the second time Vranich has been before the tribunal for the same issue. Vranich must pay what she owes by May 29 or her business license will be automatically suspended. Her license now has a clause that if payments are late in the future, she has 45 days to pay up. If that doesn’t happen, her license is automatically suspended. The issue with back pay from Elixir and Rok bar was deferred until a June tribunal meeting. Owed the city almost $7,500 in paid duty police costs. That amount was paid during Thursday’s meeting. Owner Michael Vanderzanden’s license now has a clause that if payments are late in the future, he has 45 days to pay up. If that doesn’t happen, Viva’s license is automatically suspended. Owed the city $9,500 in paid duty costs, but amount was paid in the first week of March. A plan for future payment was not established and the issue was held over until June’s tribunal meeting. Owner Boris Bogdanovski has not paid any paid duty police fees since Hush opened in 2012. He owes just under $6,000. Hush is currently for sale, which prompted concerns from the tribunal that owner Bogdanovski would leave the city with the paid duty bill. Bogdanovski denied this and said he and a business partner are looking to buy a building in Hamilton instead of renting in Hess Village. The tribunal ordered that Bogdanovski must pay 50 per cent of his outstanding balance by April 26. He then has to pay the rest of the bill by July 31 in equal payments. Bogdanovski’s license now has a clause that if payments are late in the future, he has 45 days to pay up. If that doesn’t happen, Hush’s license is automatically suspended.